Are you tired of tedious test drives and a seemingly endless series of buyers coming to see your Hummer, which only result in ridiculously low offers that you can’t even consider? We Buy Any Car can solve your problem! We want to buy your Hummer. We buy thousands of cars each week, and are fast becoming known as the industry leader in buying used cars. Our experience enables us to provide you with a fast and pleasant selling experience. We don’t just quote the book price or an electronic guide price when you come to us to learn your Hummer’s value. We will make you a fair and honest offer after inspecting your Hummer; we will buy your Hummer in any condition, even if it has body or paintwork damage, or mechanical or electrical problems. We will even buy your Hummer if it won’t start! Complete our handy online quote generator to get an initial quote on your Hummer in less than sixty seconds. 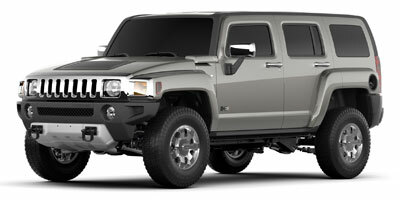 We buy all Hummer models including the H1, H2, H4, H6, the HX Concept and the Geiger H2 Hannibal. Hummers hit the market in 1992, and were manufactured first by AM General, and then later by General Motors. Hummers were the civilian version of the military Humvee and offered a line of pick-up trucks and SUVs. Perhaps the most famous Hummer owner is Arnold Schwarzenegger, who fell in love with the vehicle while filming a movie. The combination of the Hummer’s off-road capabilities, interior comfort and remarkable road presence was very appealing to driving enthusiasts worldwide. The Hummer line was discontinued by General Motors in 2010.